Recent research published in a paper in NANO by a group of researchers from Nanjing Tech University showed an emulsion-based one-pot synthesis of anisotropic silica by adding various silane coupling agents provides an effective strategy to control particle morphology and modification. The morphology of anisotropic silica is various, i.e. spherical shape, rod-like shape and curly shape, depending on which silane coupling agent is added. Other results show that the particles treated with long-chain alkylsilane have a water contact angle over 150° because silane coupling agents can not only affect the particle morphology, but also modify the particle surface. Modified silica particles with high aspect ratio were assembled to prepare super-repellent films. The as-prepared films treated by fluorosilane show superamphiphobicity with a water contact angle of 166° and peanut oil contact angle of 151°. "Generally, growth of particles and particle modification were carried out in two steps. This one-pot method facilitates the preparation of modified particles and their applications." says Yingyu Zhou, the senior author of the paper. The as-prepared films are fragile by bending or twisting. By pasting the films to substrates with commercial acrylic adhesives, the robustness of the films is greatly improved. The durability tests provide detailed evidence that the films maintain superhydrophobicity under different harsh conditions as the water droplets could easily roll over the film surface to remove the contaminants. The water contact angles of the films were still greater than 150° after 100 cycles of abrasion or acid/base attack at different pH values (from 1 to 13). This is important because most artificial superhydrophobic surfaces are mechanically weak and stop functioning when exposed to harsh conditions. The self-assembled adhesive bonded anisotropic silica films demonstrate excellent liquid repellency and mechanical robustness. The Nanjing Tech University team is currently exploring emulsion compositions to better control the growth and modification of anisotropic silica particles. Crosslinkers would be applied to increase adhesion between silica particles. Also, the team will focus on anisotropic silica supported with transition metal oxides, e.g. 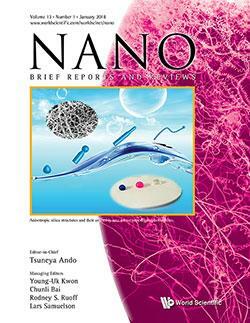 TiO2 and ZnO, for enhancing self-cleaning applications in photocatalysis.